If you wanted to know how to speed up your metabolism naturally then you’ve come to the right place. Metabolism- We all heard and read about it in some health magazine. It is mentioned right under health, energy, weight loss and so on. Optimizing your weight loss process means that you must also optimize your metabolism as well. It will in turn have many positive effects on your body, but since we are here mostly to cover the area of weight loss and staying fit, in this post you will only be familiarized with the ways to do so. So metabolism must be sky rocketing. Ok that’s loud and clear. But now goes the question HOW? Well before you are presented with the answer, and the knowledge, let me just say to you that it is so easy that no particular effort must be put into doing so. Eating is proven to speed up your metabolism almost better than anything else.But now, was eating the reason that made me look on the internet for answers at the first place? Weeell… Kinda true, but not entirely. You see, even though eating triggers the metabolism, if you eat too much that effect will be for nothing. But what is more important, if you eat in the wrong time, than you are also making mistake. But what is wrong time? Well the best thing to do is to eat several times throughout the day. But only with three main meals (which means richer) and two to three smaller meals (just a healthy snack). By doing this you are making the metabolism faster constantly throughout the day. Another very important thing is to eat right after you wake up. Well tell you what: While sleeping the body’s metabolism slows down to 30% regarding to some studies. So when you wake up, the body is still in safe mode, and by that it is preparing for maybe another wave of starvation like the one that it had over the night. Long story short it starts to stack nutrients into fat storage. 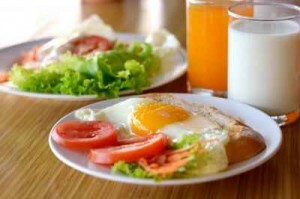 By eating in the morning as soon as you wake up, you are stopping this process, and instead of slowing, you are in fact speeding up your metabolism. Starving is only going to slow down your metabolism, and you are wasting your body’s potential of burning calories. As a science proof staying behind this theory I’ll take our evolution. That’s right. In prehistoric times humans were hunters, and eating regularly was not an option. So if starving was the answer to losing weight, then I guess that our entire human race would never have survived. You see, eating only from time to time (for example when a prey was caught) made their metabolism so slow that the body shut down all of the systems through which fat and calories could be spent. And that stayed embedded in our genetic code. That’s why eating more often is the best way to speed up metabolism. Also some food can aid you in burning that unnecessary fat in your body. I can bet with certainty that you’ve heard this one. But you must understand the simple mechanism that works behind this statement. Many people give this advice, without even knowing for sure how it works. But I guess that’s OK. So how more is “more”, and how it works on our body in order for it to achieve its goal? Well, slightly less than half a gallon should suffice. And just like you’ve done with the food, the same applies here, meaning that you should drink this amount of water throughout the entire day. We know that water is used by the body in order to process calories, and also used by every other mechanism that works inside our body (here not directly, but a mild dehydration can slow the processes that happen daily in our bodies). Because of that the lack of water is known to cause slower metabolism, as well as many other unpleasant things. Drink pure natural water, and eat fruits and vegetables as a snack. Just for a warning, if you thought that this process can be multiplied, meaning that you can speed things up by drinking five times the amount recommended. The body isn’t designed to function with that amount of water, so be aware. Chili pepper, when added to the food is known to boost your metabolic rate. But there are as well many other spices that can add to this effect. Almost all of them have chemical compounds that make your metabolic rate jump through the roof. And I don’t even have to mention that many of them have tons of other benefits as well. Take the curry for example. It can prevent serious diseases, and also can burn fat cells as well. So don’t be afraid to add spice in your food if your taste allows. When talking about nutrition, I’m gonna tell you why protein is so good, but now let’s just focus on its power to speed your metabolism. The thing is, our body’s digestion system needs more energy for dealing with protein. Around 25% more according to some studies, to be exact. So imagine crossing this up with scheduling your meals, and fruits for snacks, and a lot of water during the day….. You pretty much get the picture now, don’t you? In fact, in one of the next posts I will try to share with you which sources of food are high in protein, and how can you use the best out of protein just by adding one simple trick. Some people resort to experimental diets in the hopes of exaggerating the protein/carb ratio. Take for example the meat only diet and how much protein that is on daily basis. But you don’t have to consume more than 1 gram of protein per one pound of body weight. Even with the strategy so far you are about to see some incredible results, but keep reading, because there is more. I myself am not a coffee drinker. Well at least not so much. But for some of you out there who are, this is good news. 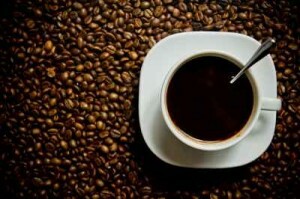 Drinking coffee can give a small boost, and also be considered as an option. But never think that drinking too much coffee can speed things up. It can only make other unpleasant conditions to occur. So again, be aware how much you drink. Have you had the feeling that you don’t wanna get out of your bed in the morning? You feel tired even to go to the toilet, eat, dress? Well if so, try this: Start by doing some simple stretching, and as time goes by day by day maybe do some push-ups or go jogging. The thing is to make a habit of doing some physical activity in the mornings. Not just it will give you tremendous amounts of energy on short as well as on long term, but it will also give a constant speed to your metabolic levels. And that is for hours ahead. Noting special, but few stretches and maybe some push-ups and squads will do the trick. And don’t get me started on how much this will also improve your weight loss process, and give you tons of other benefits. This will also improve your concentration and make you stay alert throughout the entire day. It is quite interesting knowing the fact that splitting your workout in two sessions can actually burn you off more calories. It is not so practical for some, but for the ones whose schedule approves, it can prove quite a trick. And if you are asking how, have in mind that it’s better to focus on the more difficult part first, and then go for the easier in the afternoon. However, never do some heavy exercises in the first set, so you don’t have energy in the second. And never exercise prior going to bed. Preparing your body to go to sleep is one of the principles of having a healthy lifestyle. When people are in their twenties or thirties, or even in their forties the metabolism is recorded to be faster. So throughout the day their bodies burn a lot more calories just sitting or laying around. With time this slows down. Just by adding some muscle you double and even triple this process. Imagine burning calories while you watch TV, or even now while you are reading this. Quite cool huh? The answer behind this is that muscle requires more maintenance, thus more calories are spent. So adding some muscle will make wonders for your metabolism rate on the long run. Yeah, you heard right. Breathing. What the body needs in order to operate, and maintain all systems within working flawless is oxygen. And it comes with breathing. The trick here is to be around where the quality of air is better. You know, less polluted places and so. So take a walk in a nearby park or forest, or take a long weekend somewhere in nature. Camping is the best way here probably, or maybe you like some good old hiking ? No wonder that people who live on the country side have faster metabolic levels. Also you can learn some breathing techniques. They will teach you how to inhale and exhale better in order to access more oxygen. Maybe less known, but equally important. Have you felt lethargy that stretches throughout the day? For no reason at all? Well first ask yourself whether you gave the body the minimum amount of rest. The thing is that when the body is properly rested it functions like it’s supposed to. This applies for the metabolism too. So give the body the rest it deserves. It is proven that something between seven and a half hours, and eight hours is quite enough. Giving the metabolic levels time to drop and your metabolism time to rest, will in turn make it faster the nest day. So there you go. Try and implement as many things from the list as you can, and your metabolism will be racing. Now I say as many as you can because it is a bit hard to concentrate on all. But more you add to your approach the closer you are to your goal. Also you will make one more step towards having a healthy lifestyle. Feel free to write to us, or even let us know what topic you want us to write about next regarding weight loss. We plan on doing a full manual that will cover that subject, so stay around. The best way to do this is by subscribing on our rss feed, or on mail. Have fun implementing these steps and please consider sharing them with others so we can outnumber those gurus for good. :) You can tell us what you think about these suggestions in the comments bellow, and feel free to add some. 12 opinions already. What's yours? Excellent description. Touches all topics needed to obtain an enduring weight loss and healthier body. Glad you liked it. We are going to cover some additional approaches regarding the weight loss strategy. This was merely the beginning of the whole picture. But even with these tips you are off to a very good start. Love your new design, is it genesis theme framework? No, we are still with the previous theme, just couple of changes with background color, new plugins, some changes here and there. We are thinking about changing it though, but still cannot decide. Thanks for any other fantastic article. Where else may anybody get that type of information in such an ideal manner of writing? I have a presentation subsequent week, and I’m on the search for such information. Great article. Very pertinent. Some great tips. Really excited about eating first thing when waking up and moving my body in the morning to get more energy throughout the day. thank you for some valuble information. I am 57 years old and have to lose weight thruout my life. Now I am realizing that moderation and a healthy lifestyle are the answer. Your information will halp me achieve that goal. Will this work for someone who’s trying to gain some weight as muscle ? Hey, thanks for the article! It’s very thorough and informational and I love the fact that you explained why these tips actually do work. I wanted to ask about something. I read somewhere that teenagers could lose weight very easily. Is this true? I am 15 years old and overweight and my doctor has told me that although I don’t look it, I need to lose 50 pounds to get to a healthy weight. I ate small portions, drank lots of water throughout the day, and exercised for 10 minutes every day and I lost 5 pounds in 1 week doing that. I stopped after that week because I got lazy and gave into the sweets and junk food and all that. But I have decided that I definitely need to lose the weight starting NOW and I have motivation to do it. The issue is that my family isn’t that well off. My dad works hard and we really only have money for food and paying the bills. The food isn’t really healthy. We are Hispanic: we mostly eat red meats like steak and pork, we eat chicken, black and red beans, tortillas, white bread, potatoes, vegetables, beef soup. Hearty stuff like that. We rarely eat salads and organic foods. And you know how the healthy stuff costs more… I can’t really do anything about my diet besides eating salads at school and eating small portions at home. So do you have any tips for me on how I can lose weight easily? I loved the article, and that you are willing to give the information for free to help people like me get healthy. I have also learned that eating a protein, a fat, and a carb at my regular meals helps me to lose weight. At age 66, this has helped me so much. I have lost 17 lbs in two months. Thank you so much for this wonderful site. I love it! By the way, for snacks I eat fruit, like an apple, or orange, and drink lots of water. I feel like a new person.